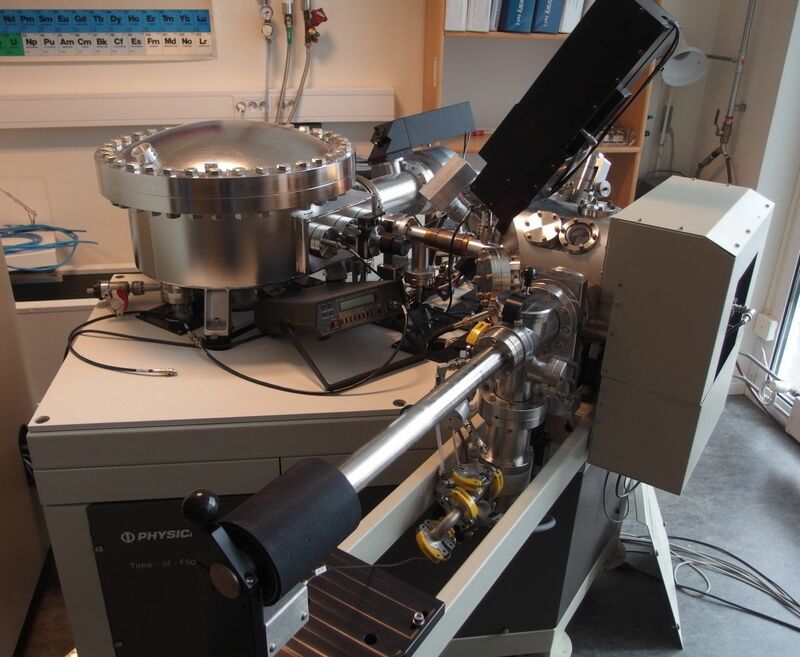 With ToF-SIMS chemical composition of very thin layers and films and solid samples can be analyzed. During secondary ion mass spectrometry the surface is sputtered with gallium ions. When these hit the sample surface ions from the outest atomic layers of the sample are released which can be used to determine the chemical composition. The method can be used in combination with sputtring to remove layers to get a depth profil of the chemical composition from surface inwards. Result: Chemical composition and depth profile (of the composition) of the surface.